1. 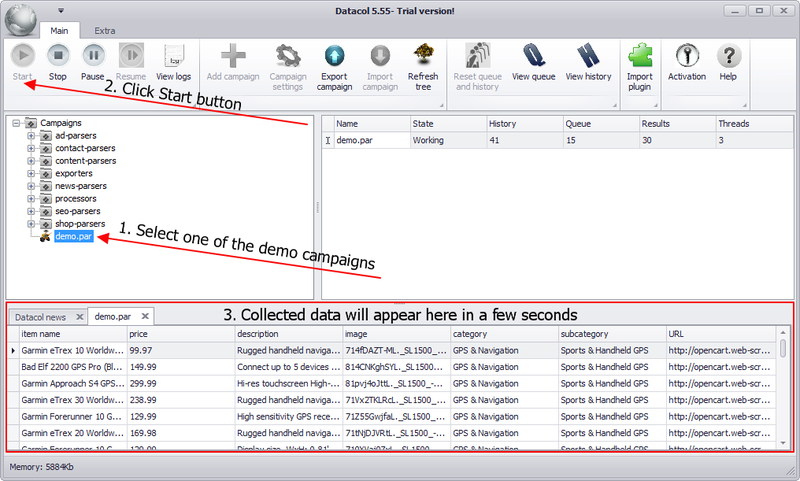 Download Datacol Trial version, install and launch it. Try demo campaigns. 2. Enter your e-mail (“Your e-mail” field under this paragraph), click Buy button and proceed with the payment. 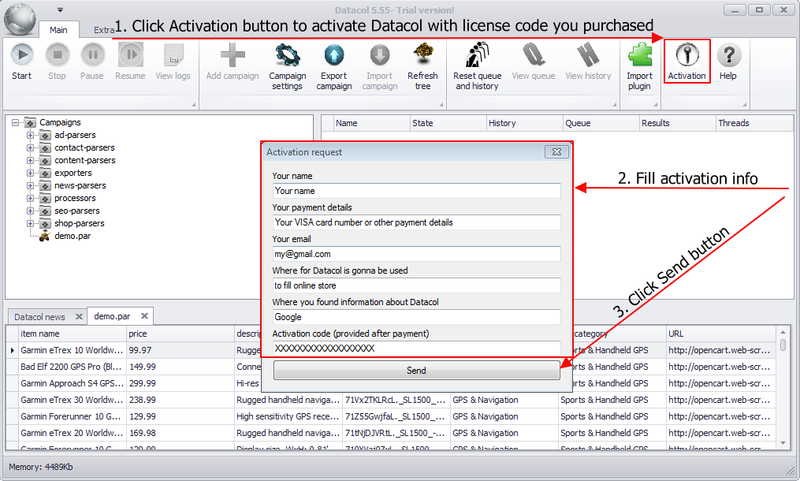 After payment is complete, you will get Datacol activation code via e-mail. Please, contact us if you have not got your activation code for some reason. We will reply within 24 hours. 3. Open Activation form, fill in the fields properly and click Send button. Eventually, you must get the message about successful Datacol activation. Now you only need to restart the program to use its full version. To transfer Datacol activation to other computer you need to reset the activation code. Please visit this webpage to implement the operation. Note! Datacol activation transfer can be implemented no more than once in 2 months. After activation reset, Datacol can be activated on other computer with the same activation code. Datacol activation after Windows reinstallation. 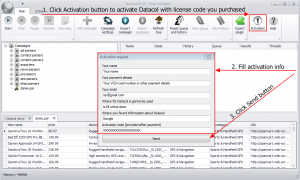 Datacol activation after Windows reinstallation is described in detail in FAQ. It is free and can be done on your own (without our assistance!). Note! If you do not read our basic recommendations and did not save the license.dat file before Windows reinstallation, reset the activation code according to the instructions in the Transfer to other computer tab.